ERGO members from the Western Balkans, Turkey and the ‘Visegrad countries’ Hungary, Slovakia and Czech Republic met in Brussels on 24-25 November to prepare a new ERGO project that will strengthen Roma civil society as independent and transparent watchdog organisations. Being transparent and accountable are important prerequisites for the effectiveness of civil society organisations that are taken seriously by their institutional counterparts. It also shows public authorities that civil society take transparency and accountability very seriously and demand the same from the public sector. 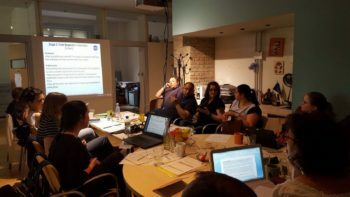 With financial support from the International Visegrad Fund and the European Commission, ERGO Network member organizations therefore agreed on joining their efforts and put their thorough expertise together to set up a list of ‘transparency criteria’ and capacitate Roma civil society in their countries in implementing them. During the meeting, all partners agreed that using transparency criteria would give them more legitimacy, better fundraising opportunities and more trust from both the grassroots level and institutions. They then drew up a list of criteria, divided into the chapters ‘governance’, ‘finance’ and ‘performance’. These include points such as giving access and distributing information about statutes and funding sources of CSOs, clear decision-making structures that divide responsibilities and ensure gender equality in CSOs, as well as the participation of target groups in the development of strategies and goals. The partners furthermore stressed the importance of open leadership and regular training within the organisation that contribute to a positive performance of the staff, as well as the need not to use ‘dirty money’ coming for example from illegal sources or from companies using child labour. Transparency also demands a proper and clear communication strategy (both internal and external) that communicates the vision, mission and the long term goals of the organization. If applicable, diversification of funds also contributes to more independence of organisations. In 2018, ERGO Network will organise a training for trainers on the transparency criteria in order to help their usage and dissemination in the participating countries as well as offer coaching visits to the partner organisations. You will be able to find regular updates on our website. From 22-24 May our Hungarian members Autonomia Foundation and Pro Cserehat Association organized an exchange visit between the ERGO core members from Slovakia, Czech Republic, Hungary and Romania. The first day of the visit was dedicated to discussing and exchanging views and practices from our common work conducted under the Annual Work Programme 2017 and to plan ahead. After the meeting, the ERGO members had the chance to visit and learn more about the work conducted by our Hungarian members in the rural areas of Borsod county. 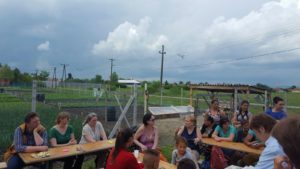 The first visit was organized by Autonomia in the village of Tomor, where the local Roma coordinator László Siroki stressed the challenges that Roma communities are facing due to the reluctance of local authorities to cooperate with Roma. 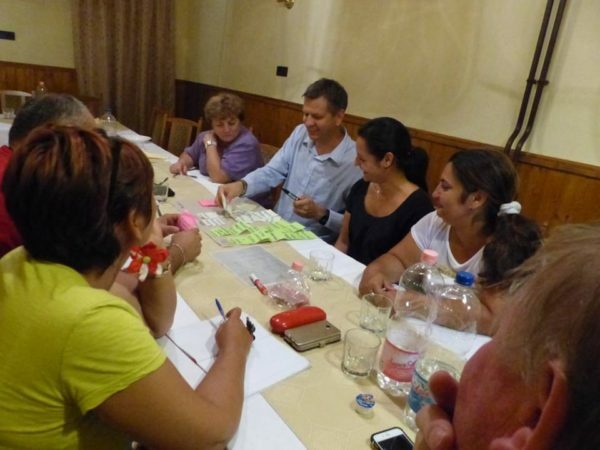 As a good practice example, the local coordinator presented the social enterprise Romama, where several Roma women are employed in a restaurant in an area where 90% of Roma are in the Public Work Program. The second visit was organized by Pro Cserehat Association who presented their Pro Ratatouille project in Edelény. This community gardening initiative targets disadvantaged communities. The community garden in Edeleny is run by 6 Roma families and proved to be a very successful project for the self-reliance and civic empowerment of Roma. The meeting and the exchange visit brought up a lot of new information and many practices that the communities and our members can learn from, and was a starting point for new projects together. One of the main objectives of ERGO Network is to create strong National Roma Working Groups (NRWG) in France, Romania, Hungary, Czech Republic, Bulgaria and Slovakia. 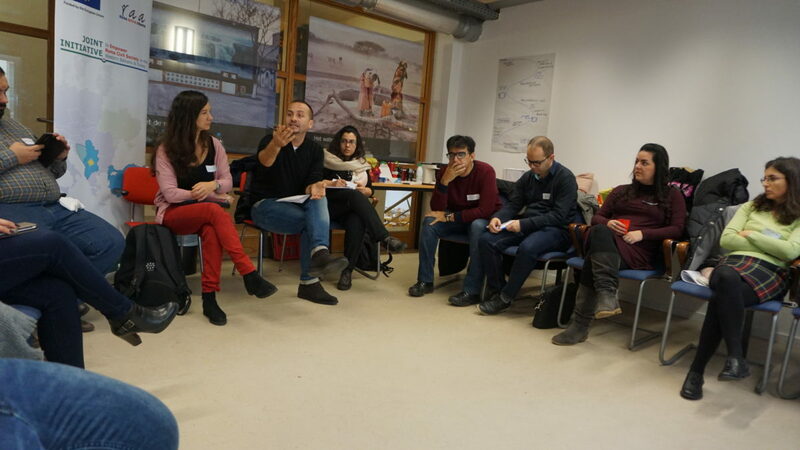 The NRWG aim to be strong coalitions where Roma stakeholders, leaders and community-based organizations can connect and exert bottom-up pressure on administrations in order to take positive action to address Roma exclusion. In Hungary, our member Butterfly Development has organised the 2nd meeting of the NRWG on 13-14 September in the form of a 2-day study trip with accompanying workshop in the Nord-East part of Hungary. The main objective of the event – organised in close collaboration with the Alliance of the Spokespersons of Roma Minorities of Nógrád County – was to provide a platform for developing appropriate working relations between the local decision makers, Roma organisations and pro-Roma civil organisations, by means of sharing and evaluating good practices of local development with and for Roma communities in Nógrád County. The participating Mayors and the representatives of their selected collaborators from Roma civil organisation were invited from the Nord-East region, i.e. from Nógrád, Borsod-Abaúj-Zemplén and Szabolcs-Szatmár counties. The State Secretary being responsible for social and Roma inclusion also attended the second day of the meeting, together with the Catholic Bishop of the Nógrád County. The participants of the NRWG meeting visited two small settlements suffering from multiple disadvantages, namely Nagybárkány and Varsány, to collect personal practical experiences about the effects of complex local development resulting in new types of institutions and services or new local employment opportunities built on local traditions (e.g. folk art or agricultural roots) based on public work. The accompanying workshop provided an effective opportunity for brainstorming and summarizing the main objectives of necessary further development, the necessary collaborators to achieve them and the necessary actions. The participants firmly committed themselves to continue their common work and to extend the scope of activity of this network. Some Mayors already offered to host the next NRWG meeting and share their good practices.